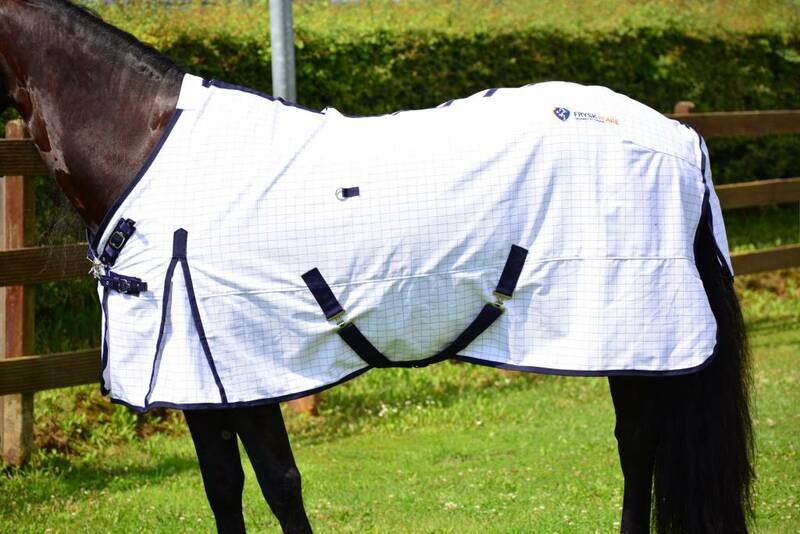 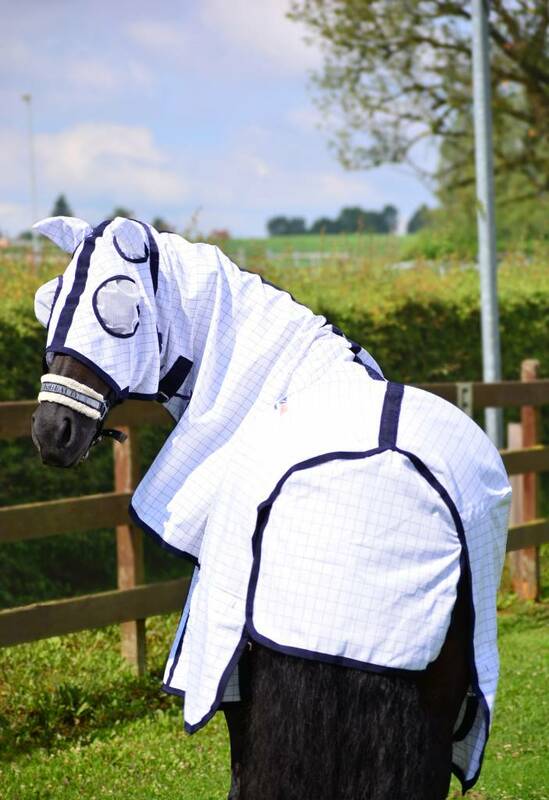 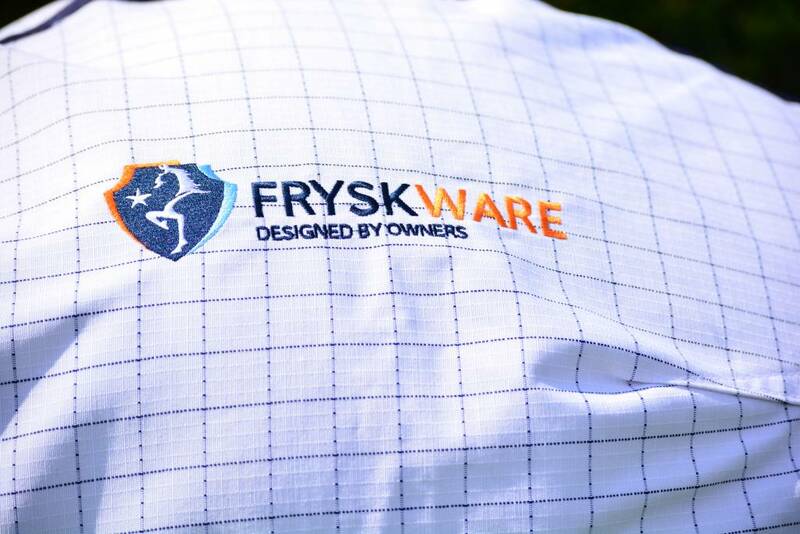 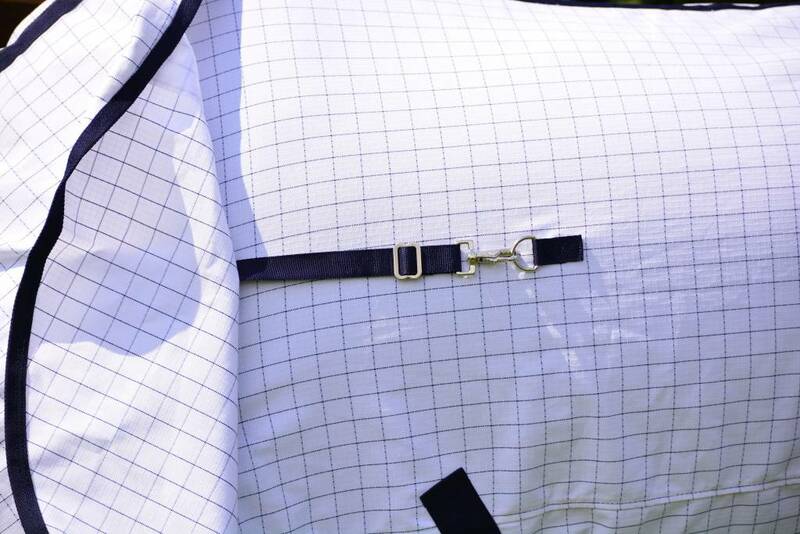 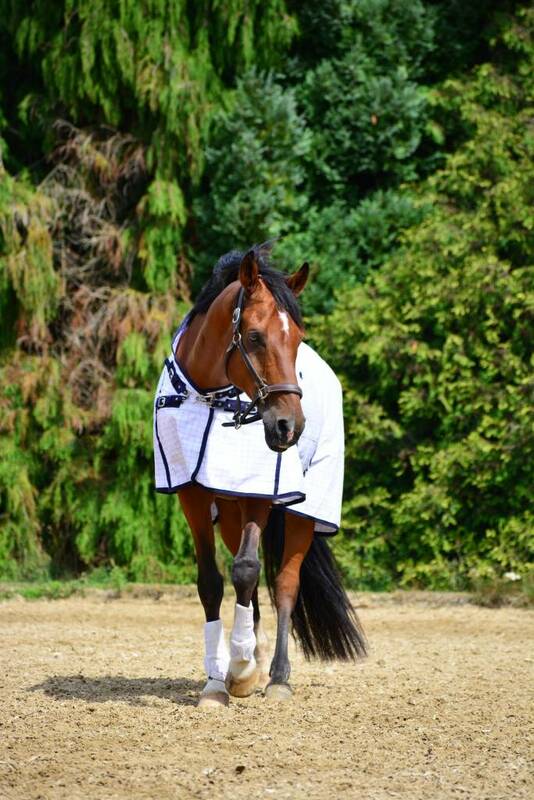 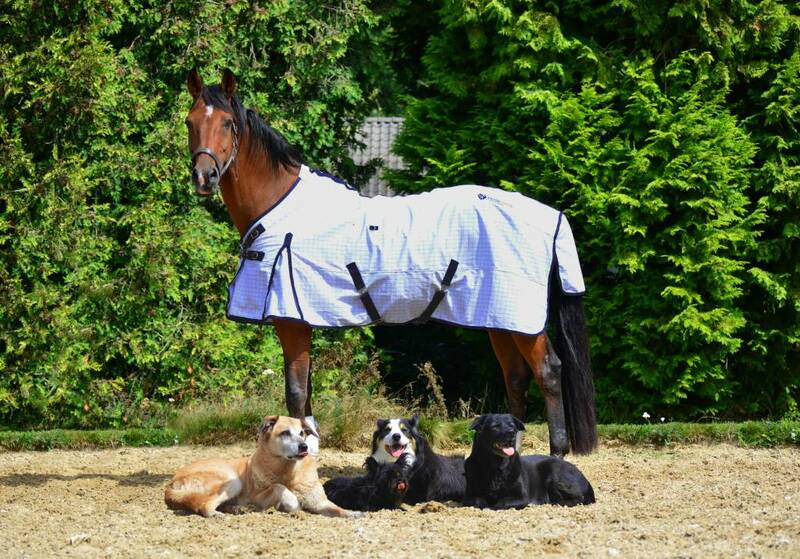 Fryskware Fly Blocker is the de ultimate fly- and insect repellent blanket with removable neck/ head part and UV-resistant coating protecting skin and fur colour against sunburn and discoloration. 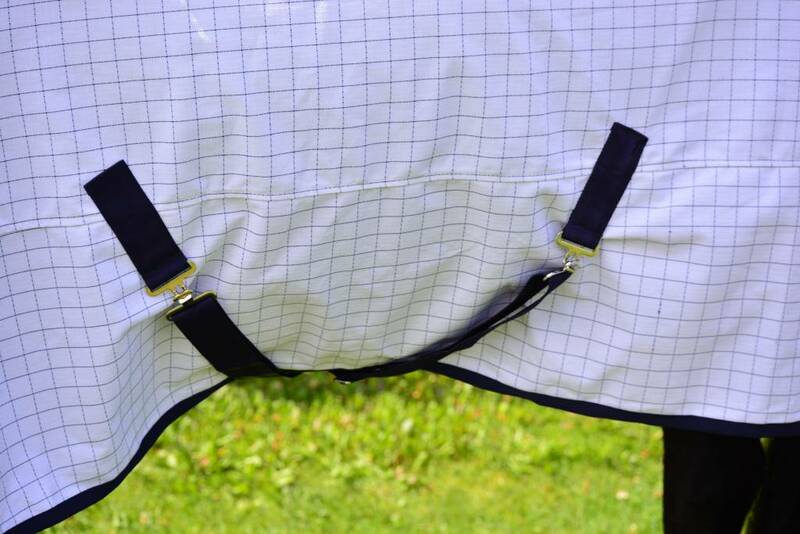 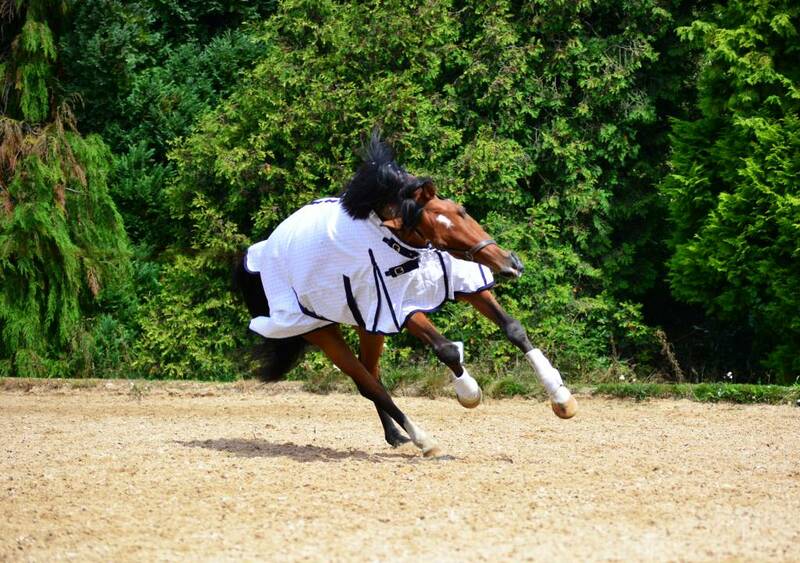 The neck part and mask have a satin stripe that protects manes against chafing. 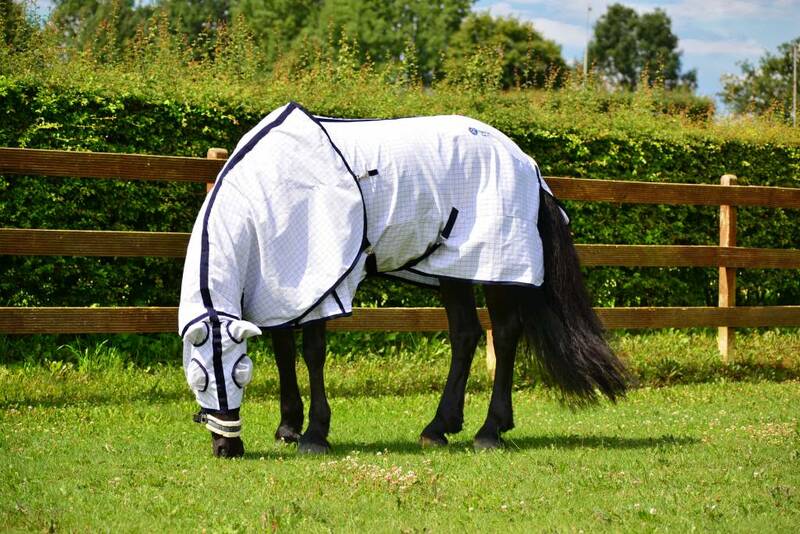 The eye recess is made of softmesh, a soft, UV-resistant gauze, protecting the eyes against fly’s, insects and sunlight, guaranteeing a good sight at the same time.